Paul B. Carroll, 64, of Calhoun, died Sunday, February 3, 2019 at Redmond Regional Medical Center, following a year of declining health. He was born in Manchester, TN on August 8, 1954, son of the late Horace and Pauline Maples Carroll. In addition to his parents, he was preceded in death by his wife, Delores Peardon Carroll. 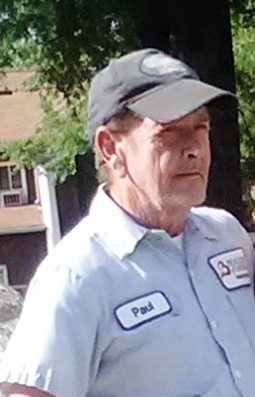 Paul was a retired truck driver, working for Dodd’s Carpet and Beaulieu. He was a member of Fellowship Baptist Church. Survivors include his daughters, Penny Baker, and Joy Baker (Shannon Camp); a brother and sister-in-law, Lonnie and Beverly Carroll; a sister, Linda Stanfield; grandchildren, Brittany Clifton, Skyler Clifton, and McKenzie Camp; and a great-grandchild, Lillee Rayne Camp. Funeral services for Paul B. Carroll will be held Thursday, February 7th, at 1:30 PM from the chapel of Max Brannon and Sons Funeral Home, with Rev. Bobby Thomas officiating. Burial will follow at Haven of Rest Memorial Park. Pallbearers are Wayne Gazaway, Mike Sisson, Marvin King, Zachary Salmon, Justin Salmon, and LaRue Roberts. Honorary pallbearers are Tracy Waddell and Allen Waddell. The family will receive friends at the funeral home on Wednesday, February 6th, from 5:00 PM until 8:00 PM. Condolences may be left at www.maxbrannonandsons.com. Funeral arrangements are under the care and direction of Max Brannon and Sons Funeral Home of Calhoun.